The following was from a Facebook post from John Muncy – please, just let it sink in and allow the Holy Spirit to speak to you. STOP WITH ALL THE EXCUSES! Don’t allow the enemy to talk you out of doing things for the Kingdom of God simply because you are “not able”! Don’t let anything hold you back from doing what you can! 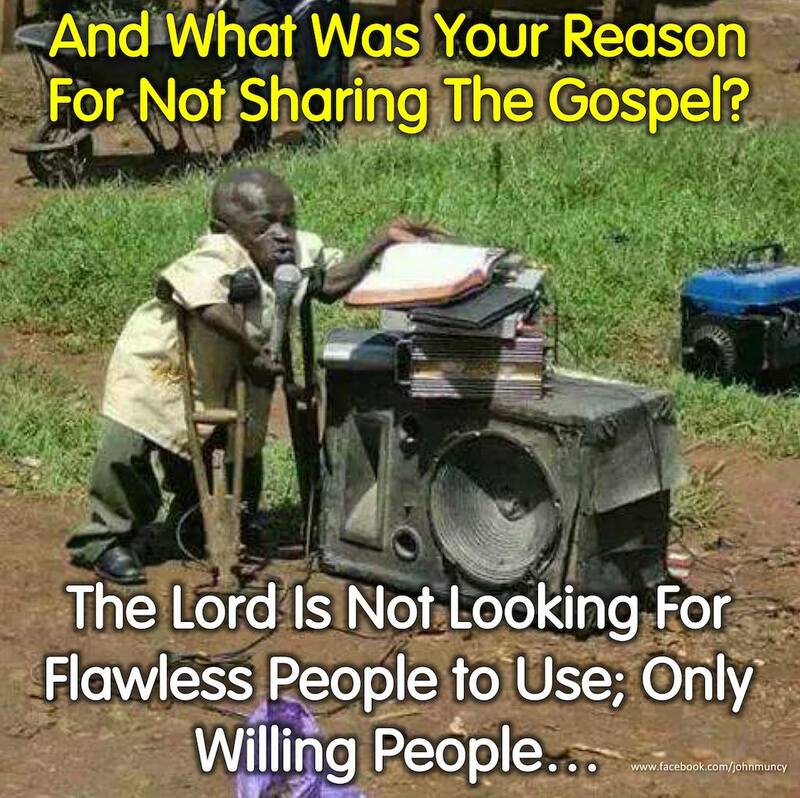 This precious “disabled” brother refuses to allow his “disabilities” to keep him from the joy, the honor, and the privilege to preach the Gospel. Never minimize the possibilities of what God can do through a willing heart of love for the lost. God can make BIG impacts through SMALL things! In each and every one of us are God given ways that we can take the Gospel to our world. STOP MAKING EXCUSES WHY YOU DON’T AND START LOOKING FOR EXCUSES OF HOW YOU CAN! You’ll find that God will use whatever you have to offer. He is just looking for someone who wants to be used to spread His love and His truth. You can do that; IF you are willing!